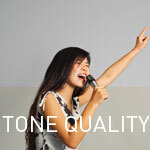 On this page you will find many vocal lessons that can change your voice. These lessons are the results of years of searching for singing guidance that could transform my (very average) voice into something special. 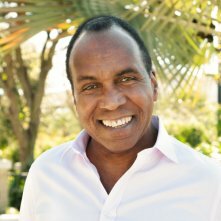 After a lot of searching I found that the lessons and techniques do exist... and no matter where you are now, you too can develop your voice into something truly magnificent. Now, there are a lot of vocal lessons on this page, but the one that will bring you the results the fastest is in the video just below. This vocal lesson has the power to give your voice a big “release”, immediately improving your tone quality, vocal range, and taking loads of strain off your voice. The Vocal Lesson That Can Transform Your Voice In An Instant? The tip is to learn how to remove your swallowing muscles from the singing process. These muscles are the single biggest thing that will interfere in your singing. And they are responsible for giving you sore throats, and severely limiting your voice. The great news is that when you remove them from your method, you’ll sound many times better, and singing will become much more fun! Watch this video to learn a very simple singing technique that will help you eliminate any interference from these muscles. Is it possible to learn how to sing from online singing lessons? While there are some things to watch out for, there are also some gems that will really help you improve your voice. Learn how you can sing with a richer, more professional tone quality. There are a few factors to take note of here. Learn them in this report. Learning To Sing With A Microphone Is Not Hard! Do You Have Weak Vocal Chords?